When I worked in marketing on the Johnson & Johnson dental floss brand, we were very interested in how a behavior became a daily habit — especially for something as unpleasant as flossing. One thing we learned about “flossers” was that everybody said they flossed, but hardly anybody actually did. The ones who flossed daily had something in common: they had all experienced some sort of early painful dental trauma. For them, flossing had become a habit out of fear — to avoid the dentist at all costs. Habits can be powerful. We know that a full 79% of smartphone owners check their device within fifteen minutes of waking up. Most of us check it over 150 times a day. We are hooked. 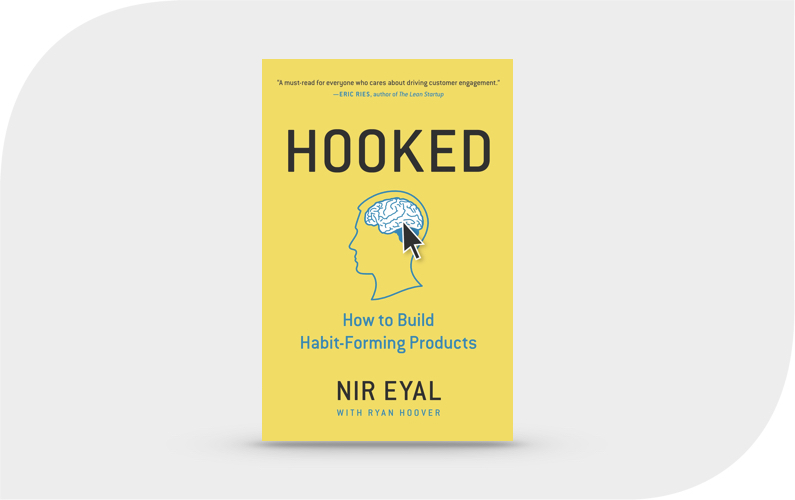 In Nir Eyal’s National Bestseller, Hooked, he explains why some products become habit-forming, while others don’t. For an action to become a habit (automatic behaviors triggered by situational cues) the user must perceive a high degree of value, either from gaining pleasure or avoiding pain. The Facebook habit of over a billion users is driven by both the pleasure of feeling socially connected and the fear of missing out. Eyal’s research has shown that for habits to form, the following conditions must be present. Trigger. The stimulus that causes us to think about the behavior. Taking a photo can be the trigger for posting it on Instagram, for example. These triggers can be external or internal, when coupled with an emotion or pre-existing routine. New habits are formed by external triggers, but emotional associations with internal triggers is what keeps us hooked. Action. The behavior done in anticipation of a reward. For example, daily flossers floss so the next trip to the dentist won’t be so harrowing. Answering an e-mail allows us to check one more task off our list. The most powerful actions today are ones that deliver on human desires that have been around for a really long time and are now made incredibly easy for us. Social Media enables us to connect with people easily and often. Reward. The benefit we get for our action. The most powerful “hooks” are variable rewards, which bring an unexpected surprise with them, creating the craving. Snapchat users are treated to a different surprise with every message. On average, Snapchat users post on average 15 messages a day. On Facebook, we are rewarded with likes, shares, and comments of others. Investment. This final phase requires the user to do a bit of work, which increases the odds that the user will repeat the cycle. We put in a little effort when we share a photo or a post or when we feel the “burn” of Listerine in the morning. Eyal’s Hooked model explains some of the biggest new product success stories of our time (e.g, Facebook, Google, Twitter, Snapchat.) So much of our purchase behavior and product usage is driven by habit. According to Gerald Zaltman, 95% of our cognitive activity is subconscious, what Daniel Kahneman calls “System 1” thinking. Successful marketers and product developers understand the power of habit today and deliberately build these hooks into the brand experience. Even diligent flossers understand how even unpleasant experiences can become daily habits.